Where are glory boys now? 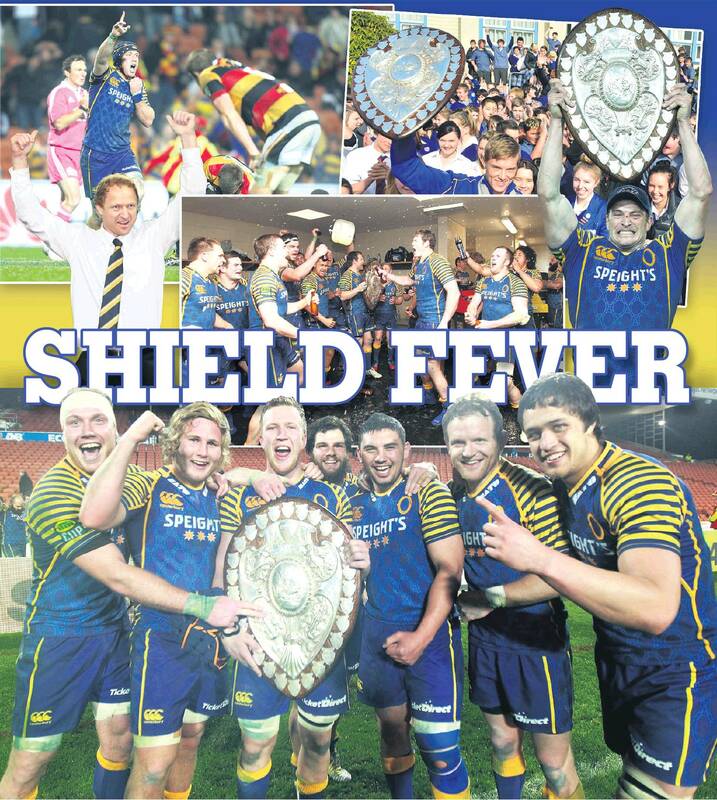 Five years ago, Otago broke its 56-year Ranfurly Shield drought when it captured the Log o’ Wood for one glorious week after a 26-19 win over Waikato. Another Shield challenge against the Mooloo men looms on Saturday, although survivors from the 2013 side are few. Jeff Cheshire looks at where the players from that team are now. The electric outside back played three more seasons for Otago, before signing with Stade Francois in 2017. Spent last season playing in London, having last played in New Zealand for Southland in 2016. A young midfielder in 2013, Collins has made a successful switch to fullback. He is now one of Otago's most reliable players and has played for the Blues for the past two years. Moved to Northland in 2016, where he played for two years. Played for the All Blacks Sevens and remained in Otago before signing with French club Bordeaux last year. Returned earlier this year and now plays for Bay of Plenty. Spent several years as Lima Sopoaga's back-up at the Highlanders, although injury limited his involvement for Otago. Now plays in Japan and has signed for his third season with the Sunwolves. Always a crowd favourite, the tiny Japanese halfback left Otago after that season, although he remained with the Highlanders until 2016. He is now back in Japan and has played alongside Parker at the Sunwolves for the past two seasons. The No8 left shortly after captaining Otago to shield glory. He spent time in Europe, before returning to Otago in 2016. Then left for Bath in England, where he still plays. Was forced into premature retirement at age 25 after receiving several head knocks, but remains involved as Otago Rugby's coach development officer. Moved back to his home province, Hawke's Bay, in 2014 and played in a 41-0 Shield defence against Otago that year. Played for the Highlanders through to 2017, before turning out for the Hurricanes in this year's competition. Remains a top performing lock for the Highlanders and has been on the fringe of the All Blacks. Played for Otago until 2016 before returning home to Bay of Plenty, where he now plays. The most experienced player in 2013 side, Donnelly left for France a year later and remained there until early 2017. He is now back in Otago and has been the Mitre 10 Cup side's assistant coach for the past two seasons. A reliable prop, Manson played for Otago through to 2015. Now head coaches the Otago Spirit, while also working as a teacher at Kaikorai Valley College. Still with Otago, although is also with the All Blacks and does not get to pull on the blue and gold too often. Remains with the Highlanders and has racked up 86 appearances for the franchise. Another to have made the jump to Japan and link with the Sunwolves. Now captains Otago and spent time with the Crusaders this year. Spent time in Hong Kong and had another Shield challenge in 2015 with Mid Canterbury. Works in Christchurch, although he made an appearance off the bench for Taieri against Green Island this year. Has played 17 tests for Samoa and recently signed with London Irish after being with Sale since 2014. Returned to Tasman and is on loan to Buller this season. Nowadays his brother Mitchell plays on the wing for Otago. Has been a fixture in the Otago and Highlanders set-ups after winning the Shield in his first year out of school. Spent two years playing for Bordeux in France before retiring in May aged 26 due to concussion issues.